The purpose of this forum will be to discuss the threat our nation’s security and economic stability would face if a cyberattack on the electric grid were to result in a widespread power outage. It will also highlight the tools, policies and strategies that can be implemented to ensure these cyber threats do not compromise the grid. In his presentation, Mr. Kantor will share insight on how private, licensed, wireless networks that are built to the new worldwide IEEE 802.16s wireless standard, like Full Spectrum’s FullMAXTM network and technology, can help separate critical functions of the grid to greatly reduce exposure to hacker entry points. He will also elaborate on how private networks that use licensed spectrum provide greater reliability within critical grid operations, allowing for a faster response, isolation of servers and restoration of services in the event of a cyberattack. Mr. Kantor was selected as a speaker due to his work with U.S. utilities to secure their wireless data communications networks from threats including cyberattacks and natural disasters. He has also been an active thought leader on the topic of grid security, contributing to stories on recent grid cyber threats. 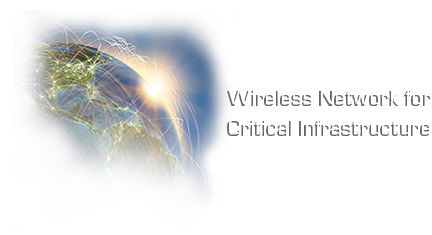 Full Spectrum’s insight and technology were utilized in the creation of the new worldwide 802.16s standard and have been integrated into smart grid networks and other mission-critical industries across the U.S. including oil & gas, transportation, defense and water utilities. This forum commences following a concerning year for the security of the nation’s power grid. Last year, a virus known as “Industroyer” or “Crash Override” was purposely aimed at disrupting and damaging utility equipment and causing electricity blackouts. Earlier this year, the FBI and DHS announced that Russian hackers have been actively attacking the U.S. power grid. As these threats elevate, it’s critical for utilities, policy makers and technology providers to work together to identify new approaches to protect the grid.